The Holidays can be a little disruptive to our regular routine. With the New Year, we settle down and get back in the swing of things. 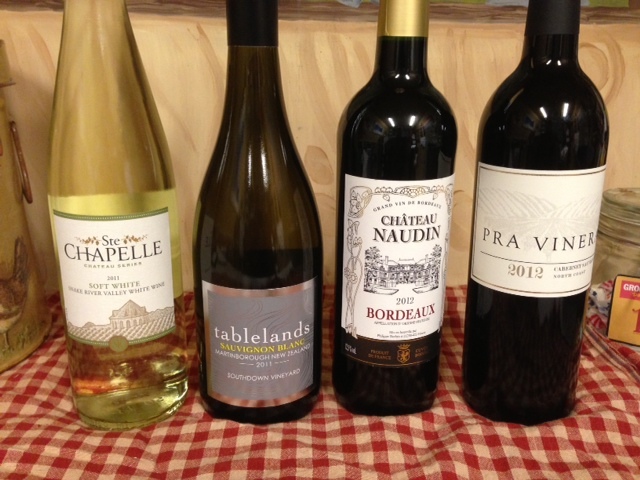 And for those of us that frequent the Front Porch… that means wine tasting on Wednesdays. If you think Wednesday is not an appropriate day for wine tasting, then you’re an amateur and we can’t be friends. Just kidding. Pick a night, I’ll drink with you. Often the New Year is seen as a new beginning or a fresh start. We make New Year’s Resolutions to change ourselves for the better (I haven’t had much success with that). Instead, I like to make a list. I love making lists. I love everything about making lists. Cute little notebooks or nice paper and a smooth pen (hopefully with colored ink) to write with. Seeing my thoughts/tasks on paper makes them seem easier to get done. When you have things written down, they can be physically crossed off the list and that brings a great feeling of accomplishment. Sometimes, if I do something that is not on the list, I write it on the list just so I can cross it off. Okay, not sometimes. I do that every day. My list for the coming year, among other things, includes travelling with my husband and restoring the 1961 Baja Bug that was abandoned at my house. More (fingers crossed) on that later. It’s gonna be a great year, worthy of many bottles of wine! It is the drink of celebration, of success and the best way to drown sorrows. We wish you much celebration and success and no sorrow in the coming year. The four bottles we tried are from all over the world! Napa, Idaho, New Zealand and France. 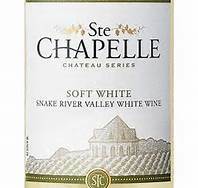 We had not seen a wine that was referred to as a ‘Soft White’ before, so the sweetness took us all a little by surprise. It reminded me of a Moscato. Steve tasted pear & melon and Caroline tasted apple as well, pink lady she said. Terry liked it with the Boursin Cranberry cheese and said it grows on you, the sweetness dissipates as it breaths. 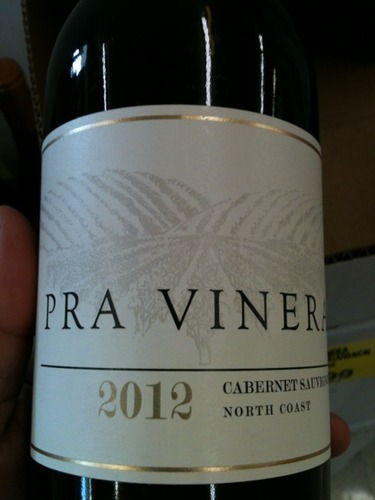 I am sad to say that the Front Porch Wine Tasters did not care for this wine. However, my favorite Wine Snob/blogger did. This Cab was extremely smooth, the aroma made me feel immediately happy. Terry said it just flows right down. She tasted berries and Caroline tasted blackberry. Steve commented that allowing it to breath a good 30 minutes improves the plum taste. This French Bordeaux is a perfect example of wine that is meant to go with food. At first taste, Terry said it was really dry, we all agreed. Then when we paired it with Little Smokies from the Deli, Caroline thought the wine was much juicier and we all agreed the food made the wine taste better. Weird. I read the label out loud: ‘Our winemaker has selected for you this Château wine from the world famous Bordeaux vineyards for its highest qualities. Perfect to be enjoyed with grilled meats, barbecues, salads and cheeses.’ Steve agreed, he thought it would go great with a grilled cheese. -_- At least he heard two of the words I said, lol. What does it mean when a French wine is labeled with “Grand Vin De Bordeaux”? ← 20% OFF ALL WINE SALE 12/20/13 – 12/22/13! Hi Debbee. 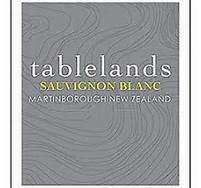 I can understand how you wouldn’t like the acid of the Tablelands Sauvignon Blanc if you tasted it right after the sweet Soft White. I didn’t know this until recently, but apparently a wine called “soft” means it’s a little sweet. – Firstly a “Bordeaux” is a wine from a quite wide area, but inside, you have different little areas, like: St Emilion, Côtes de Graves, Sauternes, Margaux… This is what we call “AOC” (“Appelation d’Origine Contôlée”). For exemple any Margaux is a Bordeaux, but the contrary doesn’t work. When you simply buy a “Bordeaux” the wine you have can be very good as well as very low quality. In one AOC, even if there are wines better than others, there are muche similarities. And to become an AOC, those wines are recognised for their taste. 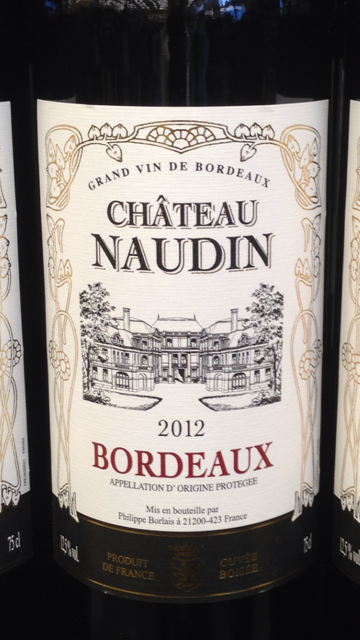 A simple “Bordeaux” can be very good but you would take more risks to buy it without tasting. The best is to take time to taste different AOC to know which one you prefer. – Secondly, “grand vin de Bordeaux” has no meaning (if I’m not mistaken), because it is not an official term. However, if you see “grand cru classé”, “1er cru”, “2ème cru”, “3ème cru”, then the wine you are looking at has been officially chosen as one of the best of the area. Thus it should be better (and generally more expensive). Whatever, never forget that tastes are different and that you can prefer a simple wine to a wine with a lot of reward. And that a high price doesn’t always mean a good wine (as you said it can be due to marketing strategy). That’s some great info, Thanks!